A podcast a friend and I started back in July, 2015! 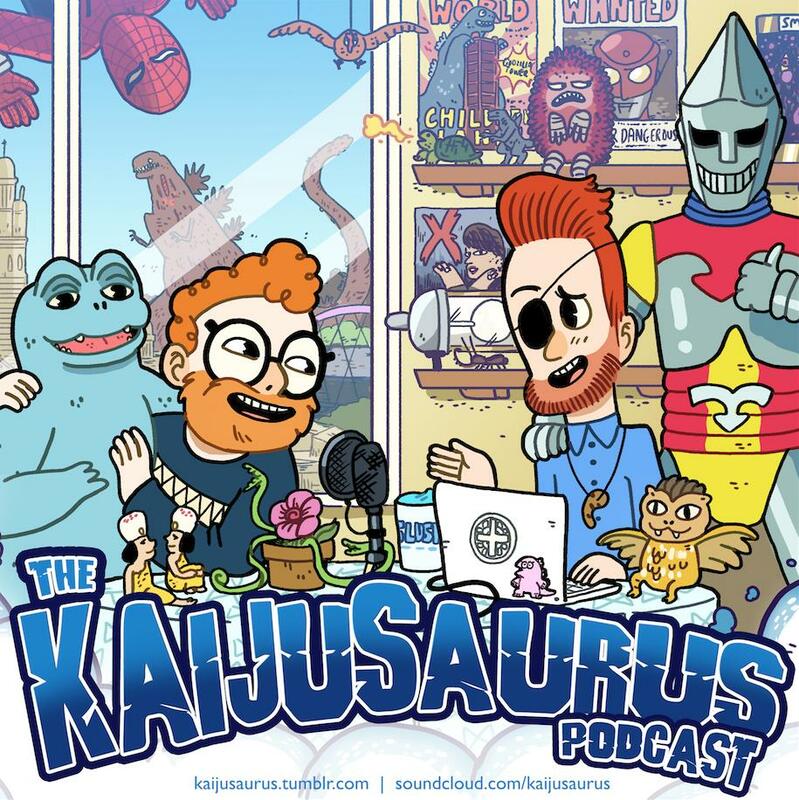 The official brief is: A lifelong kaiju fan and a newbie make their way through the thirty-film Godzilla canon, sharing their thoughts and waxing lyrical on each film per episode. So far, we've covered Godzilla '54 through Godzilla vs. Hedorah, as well as one-off episodes dedicated to the likes of Supaidaman, Ultraman X, and Godzilla Resurgence. Listen on SoundCloud and subscribe on iTunes! ^Haven't listened to the podcast yet, but I do very much enjoy your tumblr page and the wealth of production stills and whatnot you're always showing off! ^Well, since my last post I have become a listener to this podcast and it's fantastic! Listening to the Godzilla vs. Mothra '92 one right now, and enjoying the deserved savaging of that film. After you finish the Godzillas you should tackle some other kaiju film (*hint* Gamera trilogy *hint*). lhb412 wrote: ^Well, since my last post I have become a listener to this podcast and it's fantastic! Listening to the Godzilla vs. Mothra '92 one right now, and enjoying the deserved savaging of that film. ^I need to go back and listen to the earlier ones. I started with the '70s. ... gotta say though: disagree with your complaints on Biollante having a lot of interesting ideas in the first half and then becoming more standard once Godzilla shows up. To me, that's what makes the movie work; all those various subplots are interesting, but it doesn't make for a coherent plot. Only when Godzilla shows up and goes on the rampage and we see how all those subplots effect Godzilla does everything tie together (for me, at least!). The first part of the movie is loading the quiver and the second part is just firing all those things at Godzilla.